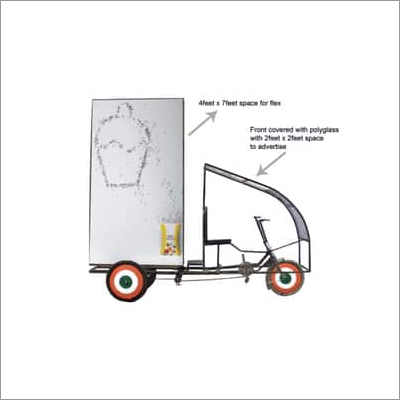 Offered exclusive range of Advertisement Tricycles has been designed in such a way that they render the ease to the users. These assist in brand promotion and deliver the services in an effective brand promotion. It proffers good results for various fields such as Real Estate, Healthcare, Educations, Ecommerce start-ups, Retail, Jewelers, Restaurant, & Hospitality and numerous more. These are more cost effective to other traditional media. 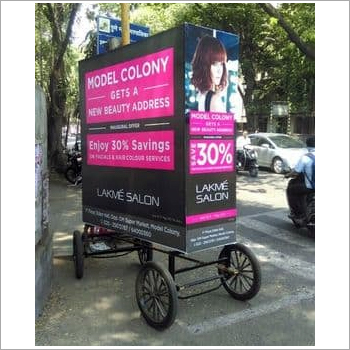 These Advertisement Tricycles have the benefit of moving on wheels to the desired place directing all market sections and areas. These are made-up as well as dedicated decently for advertising / branding purpose.